The Round Peak Clawhammer Style of Kyle Creed: learn tunes from the playing of this Surry County, North Carolina source musician and master of timing and tone! His characteristic use of the fifth string and other special moves as covered in this class’ case-study material are tools that can enhance other tunes already in your repertoire. Workshop participants should have a good working knowledge of the basics of the clawhammer style, including drop-thumbing, and be comfortable playing in multiple tunings. All material will be taught by ear in the traditional manner, so the use of recording devices is highly recommended. Deemed a “banjo virtuoso” by the Washington Post, Adam Hurt has fused several traditional old-time idioms to create his own elegantly innovative clawhammer banjo style, having been introduced to the instrument at age eleven in his native Minnesota. 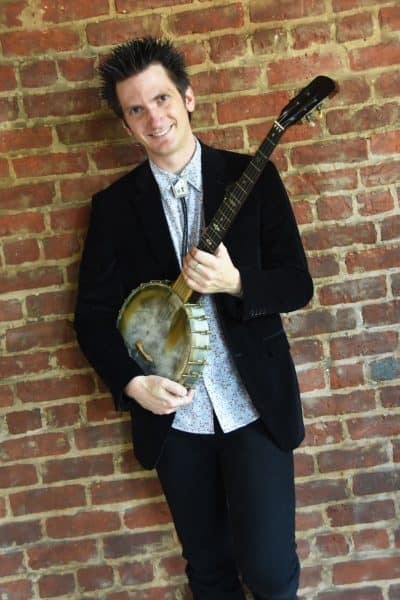 A respected performer and teacher of traditional music, Adam has played at the Kennedy Center and conducted banjo workshops at many venues around the country and abroad. 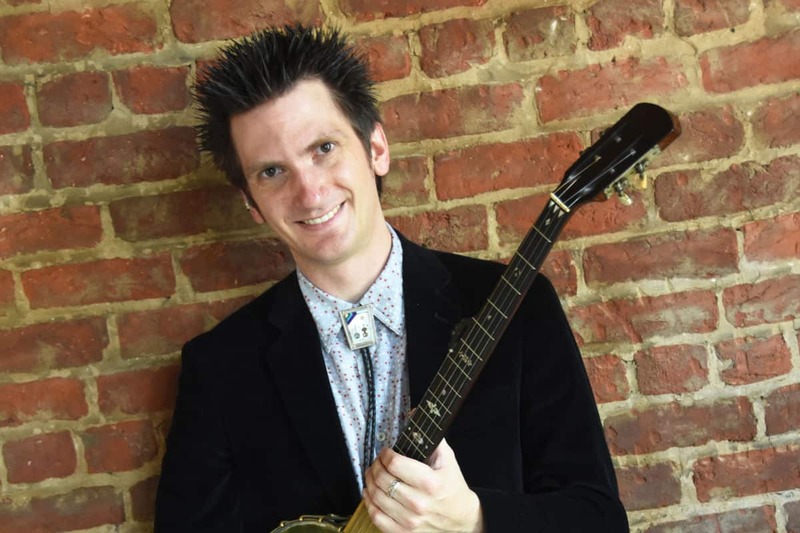 Since moving to North Carolina in 2002, Adam has placed in or won most of the major old-time banjo competitions, and he has claimed several state banjo and fiddle championships. Adam’s music can be heard on multiple recordings. Visit his website at adamhurt.com. *Minimum of 10 students required. This workshop is subject to cancellation up to 24 hours in advance. Please register ahead to ensure this workshop happens. Thank you for your understanding!